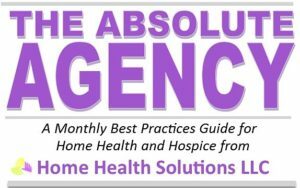 From advice on how to implement the new Conditions of Participation in Medicare to personnel management tips, our newest monthly e-newsletter is filled with helpful resources and articles specifically of interest to agency administrators. 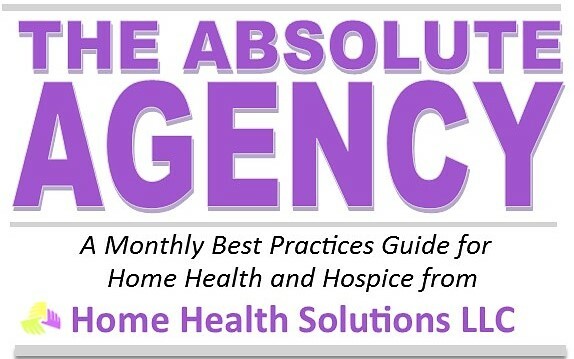 Be sure to subscribe below, so that you don’t miss this free guide to best practices for home health and hospice agencies. Want to keep up with the latest products, services and resources offered by HHS? 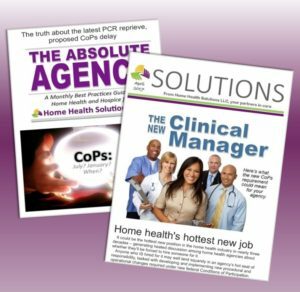 Be sure to sign up for SOLUTIONS, our free weekly e-newsletter showcasing all the solutions we offer you. Click here to subscribe. Coders, would you like to receive free weekly coding tips in your inbox? 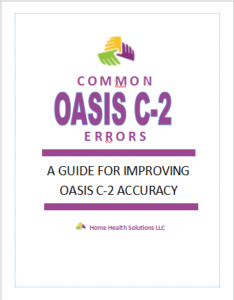 Sign up for The Monday Fix, our free weekly e-newsletter with news of interest to home health coders. Click here to subscribe.